When Bitcoin was first unveiled in 2009, Satoshi Nakamoto demonstrated that it was possible to run completely decentralized and peer2peer payment systems. But Satoshi just opened the door for more advanced platforms such as Ethereum. The Ethereum development team pushed the imagination and application of blockchain technology to newer levels by extending decentralization into the workings of a complete ecosystem. With Ethereum, users can send funds to each other on a peer-to-peer basis, create decentralized applications (DApps), and now, it is now even possible to create your own token using the platform. While the DAO Child attack that took place in 2016 shook the network, to the extent of causing a split to Ethereum Classic and Ethereum, the improvements done by Ethereum development team have made the platform to emerge one of the top platforms in the industry. This post takes a closer look at Ethereum and outlines the best methods on how to invest in Ethereum. Ethereum is an open source and decentralized blockchain-based platform designed to facilitate the creation and deployment of decentralized applications. Ethereum operates like Bitcoin or Litecoin in many aspects because it is decentralized and also features a native coin, known as ETH. 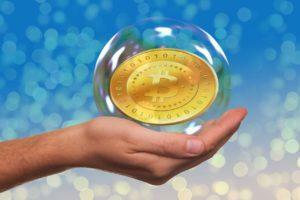 However, its focus on decentralized applications sets it apart. The mining algorithm used at Ethereum is known as proof of work (PoW) consensus which requires the miners to complete work to earn the ETH tokens. However, Ethereum has indicated that they are planning a shift to a proof of stake (PoS) consensus algorithm in the future. The Ethereum platform also features another native token referred to as GAS. This token is used to power all activities, such as transaction fees, on the network. 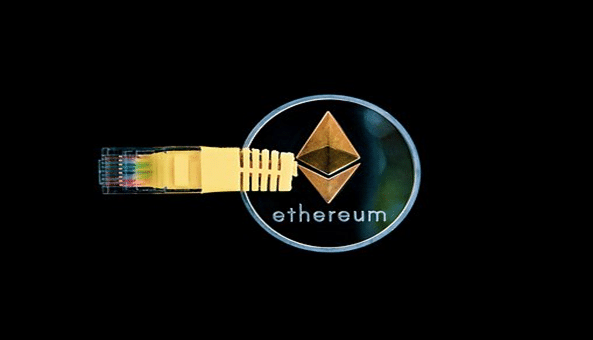 When the discussion about how to invest in Ethereum stock comes up,people always ask; “Why Ethereum?” The answer is that Ethereum is among the top blockchains helping to define the future of the industry. The design to act as the platform for developers, with its simplified Turing complete programming language, has enabled Ethereum to be applied in almost every industry. 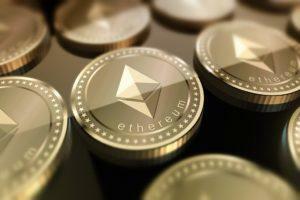 From trading stocks to agriculture, through to space studies and payment systems, Ethereum has become the preferred option by many cryptocurrency users. Ethereum Smart contracts: This is a self-executing type of contract that is run on blockchain platforms to make even the complex transactions direct, immutable, inviolable, censorship-free, and with no risk of third-party interference. Ethereum Virtual Machine (EVM): Ethereum Virtual Machine (EVM): EVM is Turing complete software which is considered the nerve center of the Ethereum platform. It is the program that connects all the Ethereum nodes across the globe and operates as the engine that drives the platform. EVM has also made the process of creating new tokens easy and fast. Exchange brokers are platforms created to help people exchange their fiat currencies for digital assets such as Ethereum and Bitcoin. Though there are many brokers on the market, the most common ones are CEX.IO, CoinMama, and Coinbase. In this case, we’ll take a closer look at CEX.IO. CEX.IO is one of the leading exchanges and was started to help people easily invest in Bitcoin, as well as to facilitate cloud mining. The exchange is based out of London, but is available to crypto users all over the globe. As a centralized broker, it implies that the user is required to first deposit the funds to buy Ethereum using the platform. Here is the process of using CEX.io to purchase Ethereum. Once the CEX.IO account is funded, you can go ahead and purchase ETH. Note that a transaction fee of 0.2% is charged for using the CEX.IO platform. The link below is a demonstration of how to buy Ethereum using CEX.IO, while the table outlines the main pros and cons of using brokers to invest in Ethereum. 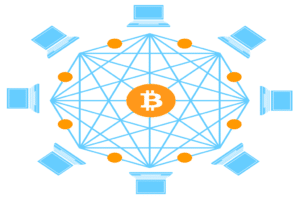 Peer-to-peer cryptocurrency exchanges are fully decentralized platforms that help crypto buyers and sellers negotiate directly. One good thing about peer-to-peer Ethereum trading platforms is that they allow users to invest anonymously. One of the most popular peer-to-peer exchanges for buying Ethereum is known as LocalEthereum. This is a peer-to-peer Ether portal designed to allow users to swap ETH with fiat currencies. It was launched in October 2017 and was meant to act as the “LocalBitcoins” (one of the leading peer 2 peer trading platforms established in 2012) for the Ethereum platform. To buy Ether using LocalEthereum, both the buyer and seller are required to pay for the transaction. The buyer is charged 0.75%, while the seller is charged 0.25%. Unlike the LocalBitcoins, the LocalEthereum platform features a native wallet that allows users to have full control over their private keys. 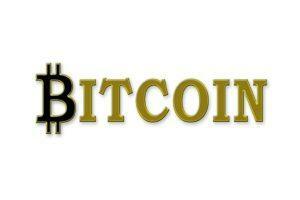 The exchange also provides high-end message encryption, messaging privacy, and a signature system. The buyer makes payment on the escrow account, and the smart contract completes the transaction by remitting the funds to the seller and ETH to the buyer. For people who already have other cryptocurrencies such as Bitcoin or Ripple, they can buy ETH through centralized exchanges using their cryptocurrency. Centralized exchanges are the most common cryptocurrency trading platforms which are designed to facilitate the exchange of digital tokens. Note that these exchanges are centralized and operate under the laws of the jurisdictions they are registered in. This implies that to buy ETH, you will be required to start by depositing the current digital currency such as Bitcoin of XRP. Some of the most popular exchanges that allow users to buy ETH with other tokens are Binance, Poloniex, and Bittrex. Here is a closer look at Binance. Binance is a Chinese cryptocurrency exchange that was started in mid-2017 by Yi He and Changpeng Zhao. The founders were concerned that trading in digital platforms was getting complex and very expensive. They addressed the problems by creating an easy to use platform that only charges trades a small fee. Note that Binance moved its servers from China to Malta following the Chinese administration’s introduction of combative policies towards cryptocurrencies and trading exchanges. To lower the cost of transactions, Binance introduced its native token referred as BNB. The transaction charge of using Binance to buy ETH is 0.1%. However, users can lower the cost of transactions by 25% if they pay with BNB tokens. This makes Binance one of the cheapest platforms on the market today. If you’re asking yourself, “How do I invest in Ethereum?”, here is the process to follow. They allow users to buy Ethereum at the latest rates. This post has established that Ethereum is one of the platforms with the most potential in helping to promote faster adoption of blockchain in the society. Many people are particularly impressed by its focus on supporting decentralized applications and making it easy for people to design their own tokens. The outlined methods on how to invest in Ethereum, provide several different ways to become part of the network. However, it is important to always carefully evaluate each platform before investing in Ethereum and always avoid platforms that seem risky. Additionally, make sure to also have a reliable wallet, preferably a cold hardware wallet, to store your tokens after purchase. Do not get left behind, invest in Ethereum today and become part of the future of the blockchain industry. 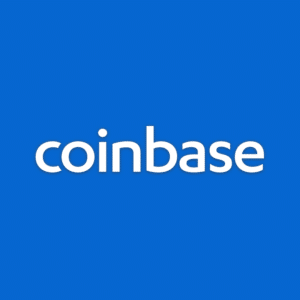 What are the Best Coinbase Alternatives Today?